Apart from giving your home impeccable look, interior design elements should also be able to create an atmosphere of relaxation and comfort. This is especially true in the case of your bedroom – this is not only the place where you should be able to unwind after a hard day at work, but also the place to enjoy those sweet moments with the one you love. We have posted a few articles on bedroom decorations already; however, we have not really touched on the question of bedroom draperies yet, so here is today’s post. There are two possible approaches when decoration your bedroom – the first one would be to get the draperies first and then match the rest of the furnishing to it; the second one, which is actually our recommendation would be to leave the curtains as the final touch. There are countless compositions and patterns, so you can be sure that you will find the suitable ones. In terms of coloring, it is always a good idea to keep to the warm romantic nuances such as yellow, orange or red. In case you have decided to accept our recommendation, then you should either pick curtains that match the shades in the room or go for ones that create a unique contrasting point. 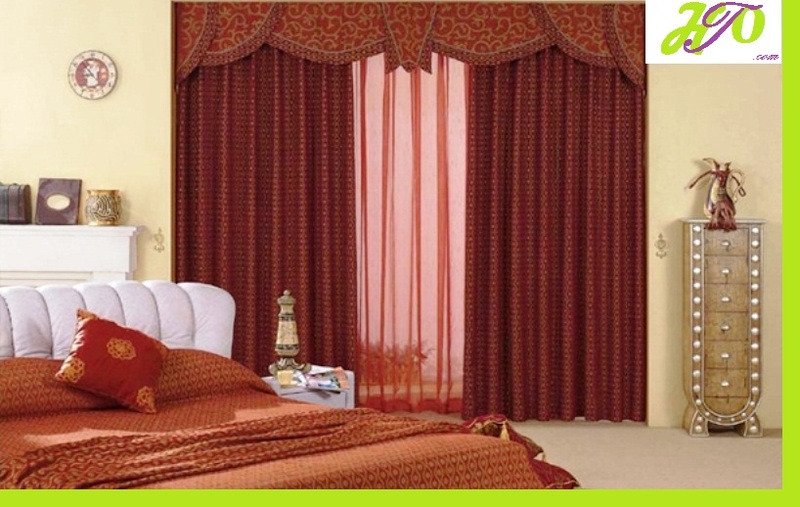 The main purpose of buying draperies is to control the flow of sunlight that comes in. Naturally, we want to block some of it during the day, while at night we try to get as much as possible. Since there is no pattern or textile that can offer you this, the solution would be to buy two different sets of curtains. The first one would be thinner and lighter; naturally it should be hanged nearer to the window, while the second one is much thicker and should be put on after the first set. Bedroom Design bedroom, curtains, decorative, fabric. permalink.